May 9th, 2017 | Lifestyle, Moving Tips. You’ve been doing really well with your health goals. You exercise every day, eat nutritious foods, drink enough water, and try to get enough sleep each night. But you worry that your upcoming move will make it impossible to keep your goals. Moving can certainly throw you off schedule. But it doesn’t need to uproot your health goals when you follow these tips. Once you start to pack your kitchen, you no longer have the appliances and tools you need to cook nutritious food. You worry that you’ll have to resort to fast food during your move. These foods are high in nutrients and protein and will keep you going during your move. If you’re moving cross-country, you can bring these foods with you on your drive. During your move, you might not have time to engage in your regular workout routine. But consider how moving can help you burn calories and gain muscle strength. Instead of lifting weights, you’ll lift boxes for a few days. Make sure you lift from your knees rather than your back to avoid injury. Instead of running, you can increase your heart rate and burn calories while you pack and clean. Scrubbing the bathtub for 15 minutes can burn 90 calories. Vacuuming for 30 minutes can burn 119 calories. Moving furniture for 15 minutes can burn 100 calories. You may actually end up getting a longer workout during your move than you normally do. Just make sure to stretch at the end of the day. This can help you maintain flexibility and avoid pain and injury. Drinking enough water is important when you’re moving since you exert lots of energy and can get dehydrated. In all the hustle and bustle of moving, you might forget to drink enough water. At the beginning of the day, fill several water bottles. Set them in strategic places in your house, such as in your kitchen, bathroom, and bedroom. This will give you the opportunity to take a drink no matter where you are at the time. Once you set out on your move, bring a water bottle with you. You can fill it up at gas stations rather than buying soda, which is packed with sugar. Once the stress of packing and loading is over, it’s time to drive to your new home. If you’re moving cross country, you have a long drive ahead of you. If you don’t take care of yourself during your drive, you could get sick or injured. Every 30 to 60 minutes, stop at a rest stop. Walk around for a few minutes and do a few stretches. This can help you avoid back pain, blood clots, and other problems from sitting too long. Bring your cooler with you on your cross-country move so you always have a nutritious snack on hand. But you might not have enough food to avoid stopping at a few restaurants. To make sure you stay healthy, look up restaurants in all the cities you’re planning to stop in. Make sure there are nutritious options on the menu that include vegetables. If possible, you could stop at a grocery store and find a healthy meal option there. Also, make sure you book hotels that offer healthy breakfast options. These might include oatmeal, yogurt, fruit, eggs, sausage, and bacon. Maybe you set a goal to sleep seven or eight hours a night. But during your stressful moving time, you might be tempted to stay up all night or wake up at the crack of dawn. You’ll stay healthier both physically and emotionally if you maintain your regular sleeping schedule. Write down a list of all the moving tasks you need to accomplish and when you need to do them. Sticking to a scheduled moving calendar can help you maintain a regular schedule and avoid health problems from lack of sleep. If you find that you have more tasks than you can accomplish in your allotted time, recruit help. A professional moving company can help with packing, loading, and transporting. You could also ask a group of friends to help you clean and prepare your house. Don’t let your big move throw you off your health goals. 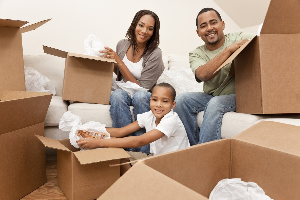 Follow these tips and stay healthy during moving week and beyond. If moving gets too difficult to handle by yourself, call Wheaton World Wide Moving for superior moving services.